Get one (1) KFC Snack Plate a la carte at 50% OFF with every purchase of one Snack Plate Combo! Offer is valid for purchases in a single receipt. Valid for in-store and drive-thru transactions only. Does not apply to catering and bulk sales. 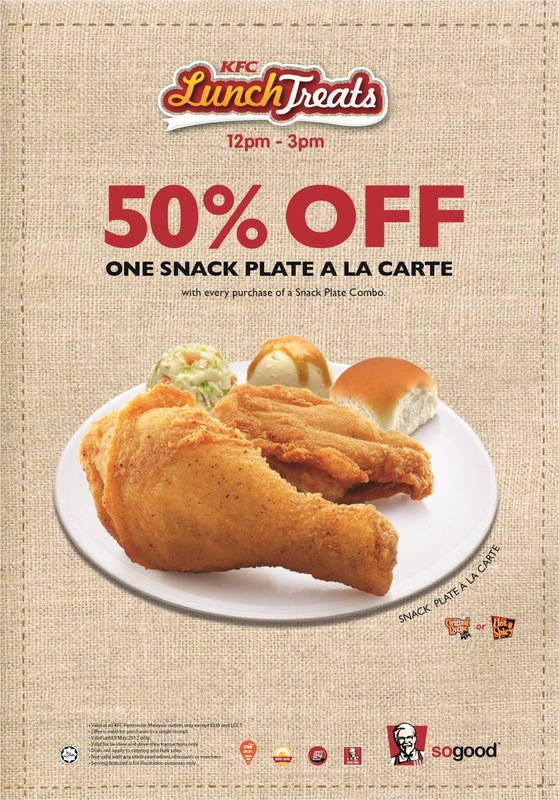 Checkout KFC's 6pm - 9pm Dinner Plate @ Half Price promotion! Find out how to get KFC Ceezy Egg Bun @ RM1! Click here to check out KFC contest(s)!